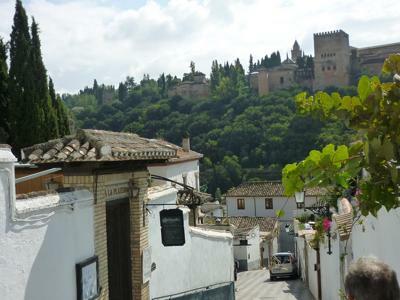 The Albaicin in Granada is what remains of the old Moorish quarter. Steep narrow winding streets and beautiful Moorish villas with a lovely surprise around every corner. Restaurants, bakers, bars and little squares full of daily life play in an ancient setting. Across the river the Alhambra Palace looks down on the townsfolk going about their business and pleasure. This monument is one of the most beautiful, understated architectural gems that I have visited. Now a UNESCO World Heritage Site, it has long inspired artists and musicians with its romantic atmosphere.